All students on today’s transport have been given the relevant ticket for the journey they are registered for, they cannot cross over on transport otherwise we will be unable to track for seat spaces and payment. All drivers have a list of who is registered on their bus. We have changed the times of departure slightly due to the amount of traffic at 8.00am in the morning to ensure the students get to school on time. Where possible all parents have been informed via telephone today. To be at Sainsbury’s for no later than 8.30am and the last bus will leave at 8.45 the 6th form students will have been given a yellow ticket. 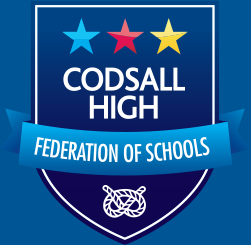 I have been at the bus stop at Perton and at Codsall for the past two days and all students had left Perton by 8:45am and were at Codsall for 9.00am (hence the tweak of times), and in the evenings all mini buses have left by 3:15pm with no students left at the bus stop or around the front of school. In fact the last bus leaving from Codsall has had space on it on both evenings. We would like to thank the pupils for their exemplary behavior whilst having to wait for the next buses to arrive.